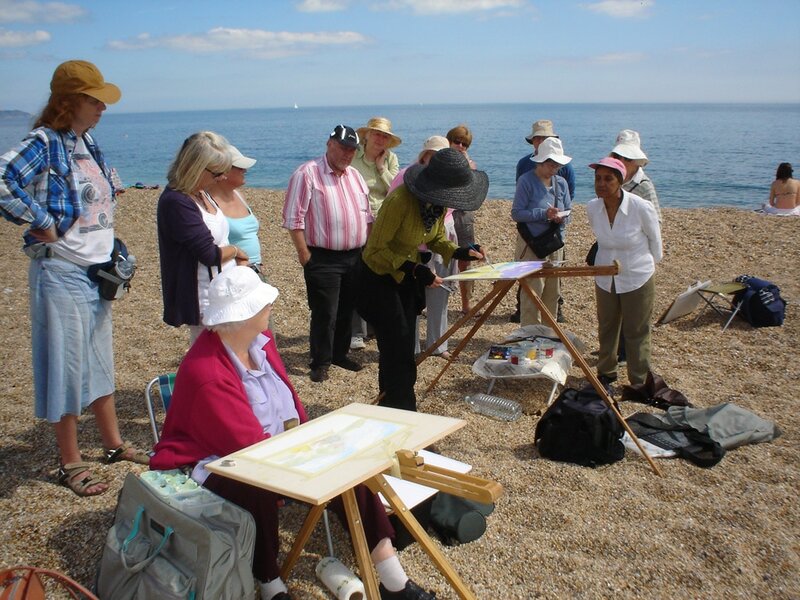 Bettina's painting holidays are suitable for all - from absolute beginners to accomplished painters. Groups are kept small so you can visibly advance within the week and draw from Bettina's wealth of experience, skills, and thought-provoking insights. 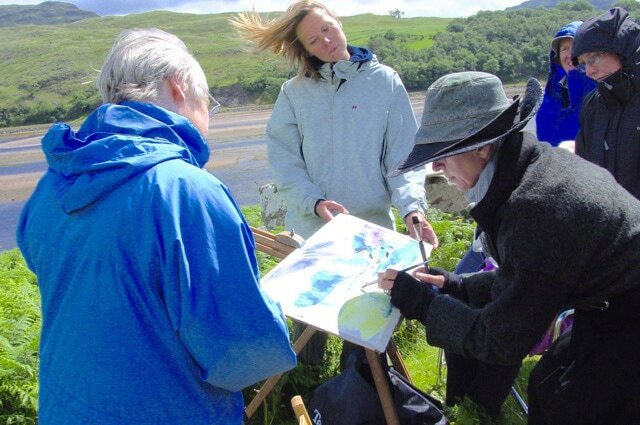 Bettina teaches in watercolour mainly, and in other media as required. 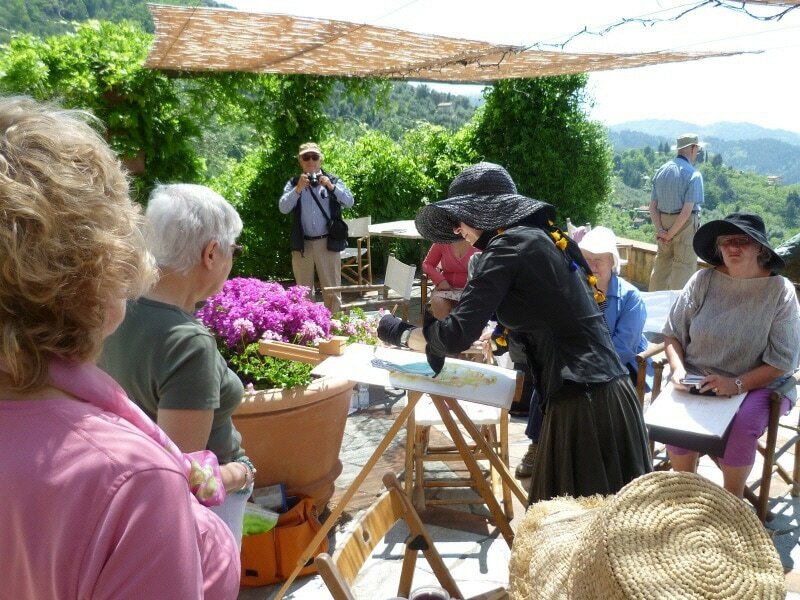 The course focuses on landscape painting, but offers many other subjects as well, ranging from still-life and flowers to figures or personally chosen objects. The tuition is designed to help you make the most of your abilities, with personal attention and plenty of encouragement. 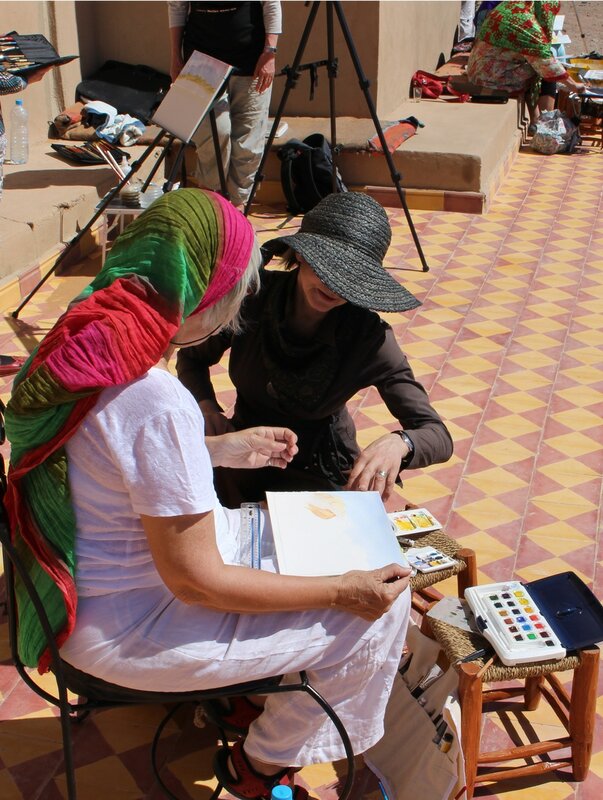 During the week you can learn about general painting techniques such as basic perspective, choice of colour, composition, shadows and many other tricks of the trade. And for the more advanced, aspects of 'negative painting', 'wet-in-wet' techniques and so on, are part of the week’s schedule. For complete beginners Bettina teaches a simple, easy to follow ‘step by step’ approach. Bettina’s daily demonstrations (in, or outdoors) are tailored to the particular needs of the students and to help you get started. She emphasizes how to capture the excitement of the moment, when you first spot a subject, without letting technicalities bog you down too much. 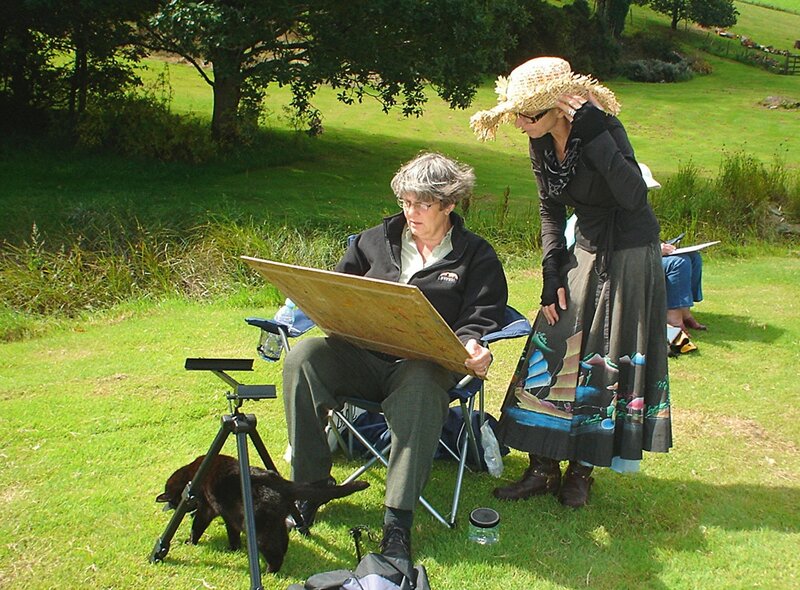 Above all, Bettina’s courses aim to enhance the pleasure of painting whilst improving your skills. Tuition is from 10 a.m. until 4 p.m., so there is time for you to relax before dinner, explore the locality, or even continue painting! Plans might vary a little according to the demands of the day. Read Bettina's article "30 Minute Portraits" in the Leisure Painter magazine. Click here to read. The previous article "Colour Choices" can be found here, or click on Tuition on the menu bar above. "What an excellent teacher and painter you are, it's not often you find both." "It was lovely to watch you paint and to feel inspired to get on and make our own mark. And your final critique was a masterpiece of useful information and diplomacy, we all went away feeling encouraged." "You taught me so much. My ability changed hugely under your guidance, and thank you." "You are so inspirational in your teaching. We so enjoyed your company." "I had always been frightened of trying the Wet in Wet technique but thanks to your marvellous demonstrations and guidance I am feeling more confident in tackling it...and loved the tip about flat brushes for architectural details." "I can honestly say that I feel you have set me free! Years painting careful copies of photographs for commissions had made me forget that it is alright to change things, move things and basically go back to being creative." "I learned so much, and am so proud of some of the paintings I achieved, but really it was all to do with the encouragement you gave me Bettina!"